After nearly 8 months roaming around New Zealand and Australia. Visiting family and friends and house sitting in 3 different locations it is good to be home and getting back into rediscovering the things I like to do. 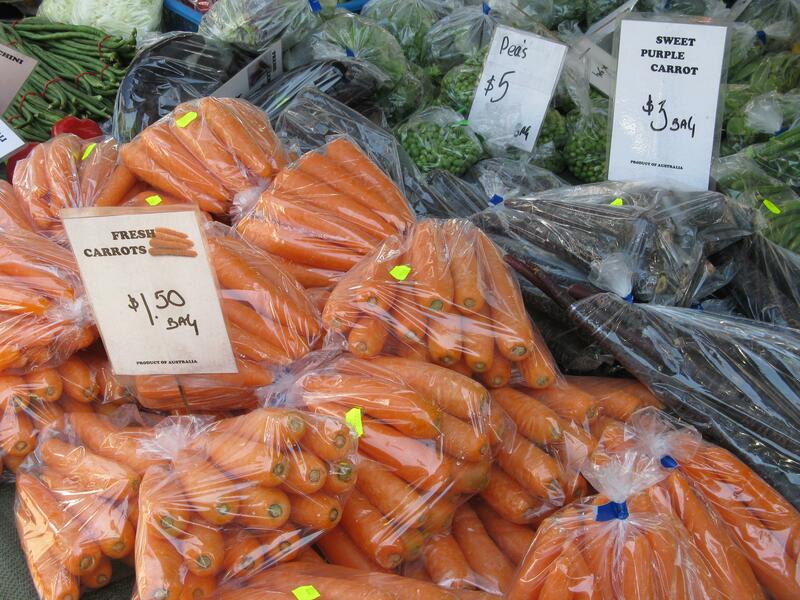 One of my favourites is going to the local Saturday Farmer’s Market. when Ailsa gave us NUMBERS as the “travel theme” this week I grabbed my camera as I hopped on my bike to restock the fridge and pantry with the freshest produce around. That is a very good price for an armful of sunshine. But difficult to carry home on the bike, especially as today is hot and sunny but also windy. Here they are at $2-50 per kg. 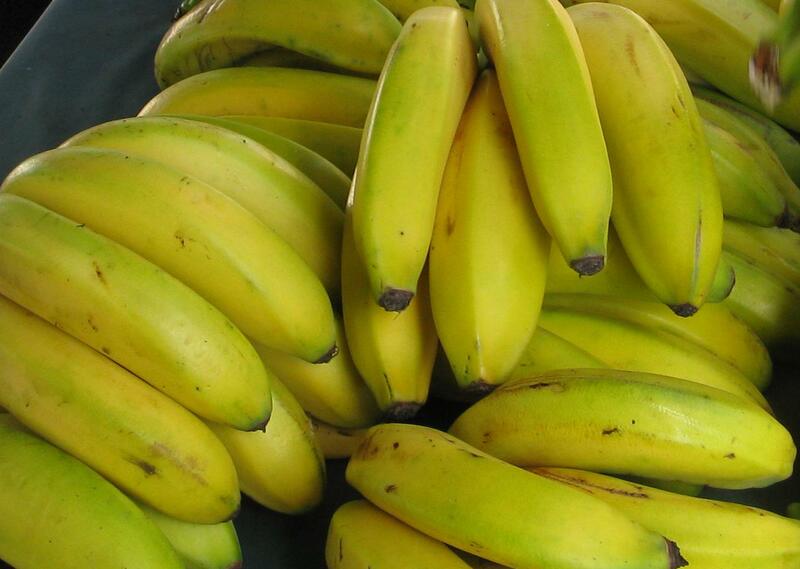 I consider bananas a staple and we have one every day with cereal for breakfast. There are other things you can find at this market. So after putting my fruit and vegetable purchases into my saddlebags I just love wandering around taking in the vibes and atmosphere. You should wear a hat in this climate. Locally designed and made fashions to be found. A lto of great produce. I’d love to do some shopping on that market! Oh Pomme, I am so insanely jealous of your beautiful fresh produce. We are entering autumn here and soon all of our produce will be from places far away 😒. 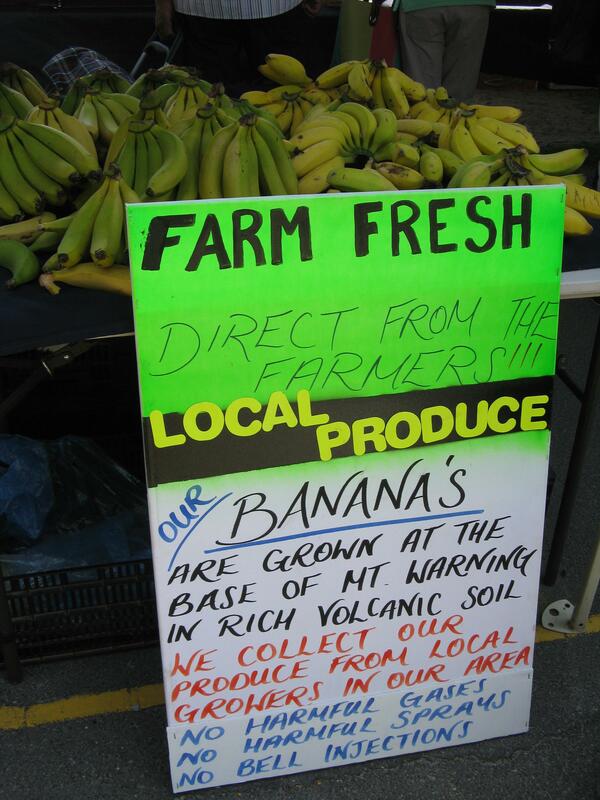 There is nothing in the world like local fresh fruit and veggies. But then I find we enjoy it that much more when we have it so I shan’t complain – SIGH. What fantastic pictures of the market – everything is so colorful! 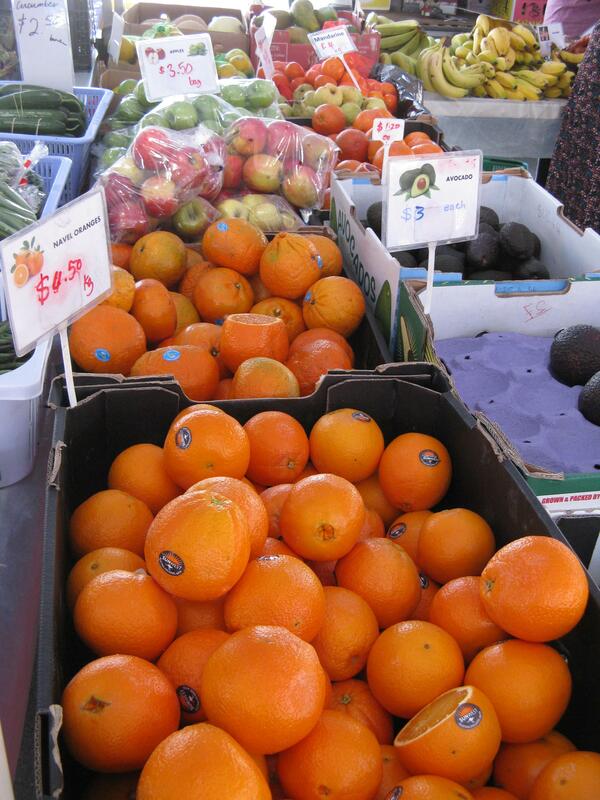 What a sweet way to settle back into your life at home–a bike ride to your farmer’s market. Combine that with a leisurely cooking session with the fresh produce for dinner and it would be a perfect day for me. Walking the farmers markets are a favorite activity in San Francisco. Glad you had some wonderful adventures traveling around. Enjoy being home for a while! Hello to Jack. Sounds and looks like we had a very similar day. 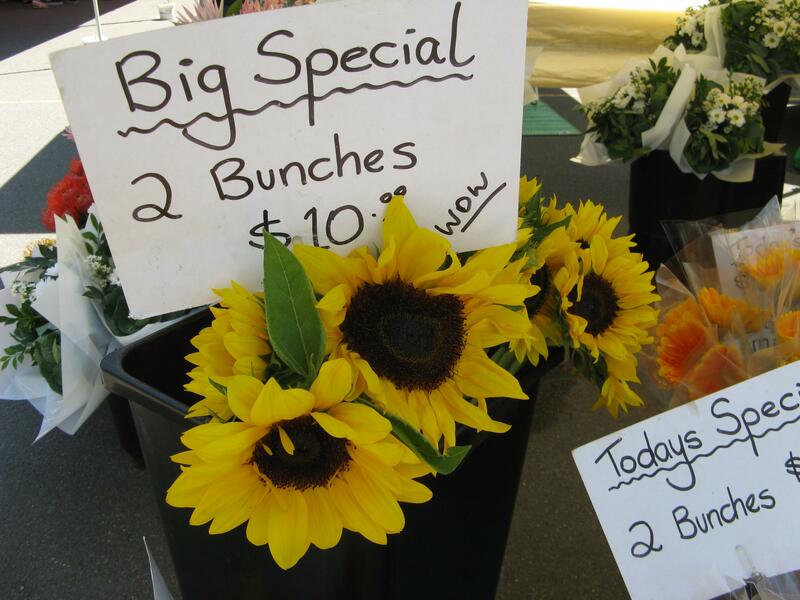 I love the farmers’ market, especially when the weather is so nice. Markets are always good where ever you find them. It was very warm here. Bet you’re glad to see that home for a while. 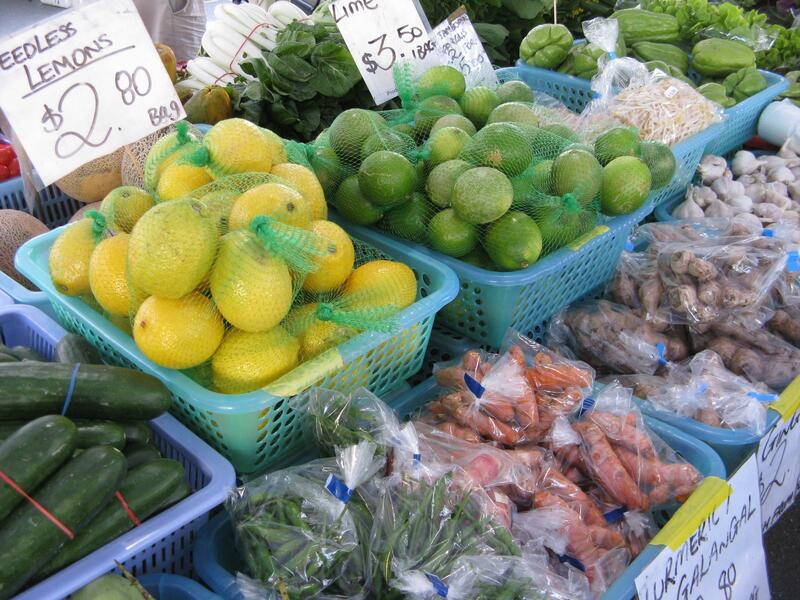 I went to the markets at Golden Beach recently and yes good value and good food! Read the article on the ‘Bell Injection’……the things we do not know! Think I’ll take the splotches…we all have them. One sleep and then I’m off home, 5 weeks and then down your way for at least 6 months. So glad to have lovely people renting my property. Enjoy! Pleased you have good tenants it makes for peace of mind when you are travelling. Now that is interesting, our next trip is March to NZ. That is unless an interesting house sit pops up before that… What is your next adventure? It is good to be back home in our own space Jude. Weather is glorious. Interesting. I think I’d prefer the ones that haven’t used this.But how would one know? Buy organic? I think maybe all commercial growers use this technique so organic is the only guarantee they are chemical free. I noticed the organic ones had blotches and marks on them I’m thinking the chemical maybe stops that and keeps them spotless!!!! You never know what you are eating do you! Never mind the numbers, I like the colours of the produce! So do I Sue, great for photography. The prices are also very competitive with the super markets. G’day Dawn (actually G’evening!!!) thanks, good to be home. 60 something female, ( now 70 I have been doing this blog 3 years) fit and active, loves travel, reading, walking. Born in Yorkshire, UK. Moved to New Zealand, love the country. Became a "Kiwi" lived there 37 years, son and daughter still live there. Moved to Australia because I now live with and love an Australian that I met in NZ and am now an Aussie citizen.